Projects pop-up on peoples radars in various ways. Sometimes information about a person or project comes from many different sources all at once. This was the case for Mandy Lau and her award-winning project, Reach & Match. The project helps visually impaired and autistic children develop their senses, social skills and literacy. In 2012, Reach & Match was a Student Notable in the Social Impact category for the Core77 Design Awards. In under three years, Reach & Match is now a full-fledged product available for purchase. Core77 spoke with Mandy about bringing a product from idea to market, some of the biggest challenges for designers working in special education and what’s next for this learning tool. Core77: Tell me a bit about the thoughts that brought you to decided on creating Reach & Match? Mandy Lau: I have always been very interested in social design and creating effective solutions through design. For my bachelor degree in Product Engineering, I developed a few projects for people with physical limitations as well as blind and vision-impaired people. I also enjoy my other work in art therapy with children and adults with special needs. During my postgraduate research in Industrial Design, I started looking into braille literacy and blindness. What made you decide to focus your attention on this specific subject? I found braille to be an incredibly efficient and beautiful system for writing—it’s also an essential skill for developing blind people’s career opportunities and independence. 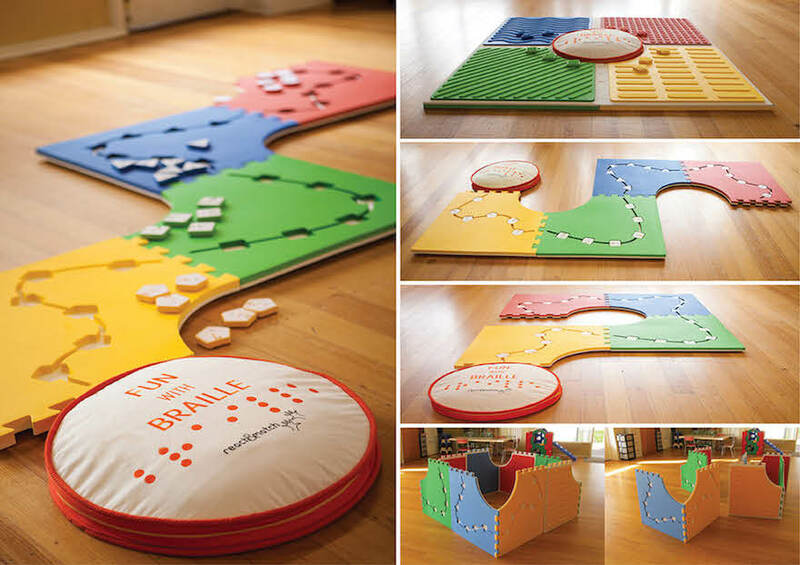 Due to the global decline of braille literacy, I wanted to create a design which helps young blind children learn braille in an interesting way. However, through my primary and secondary research, I observed vision-impaired children often struggling with problems such as cognitive, motor and social barriers. After generating a lot of concepts, I selected a design which can empower children with special needs in a fun and friendly way. It is inclusive and creates a bridge between children with and without special needs. 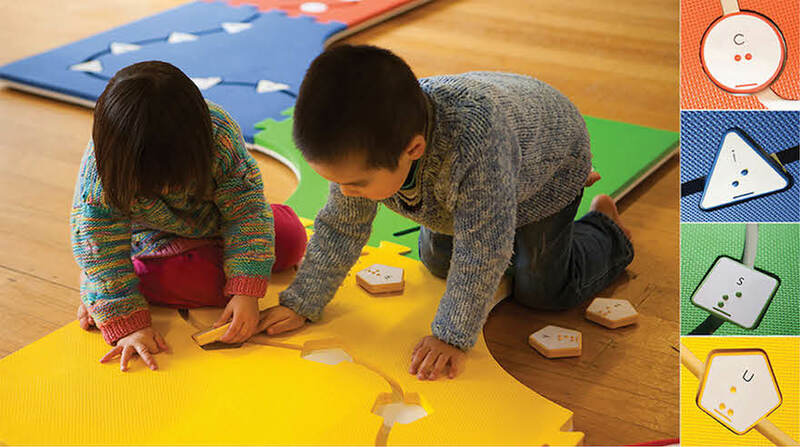 Through well-designed exercises, activities and games, care takers such as teachers, therapists and parents can easily use the product for children with varying abilities. Reach & Match is now out on the market. What sort of response are you getting from the children and their caretakers? We received very encouraging feedback from local and overseas clients—organizations, schools, pre-school centers and clinics. Most of our users are specialists such as occupational therapists, mobility instructors and educators who provide training for children. They are applying Reach & Match at their group activities and early intervention programs. Reach & Match will also be used in the degree program for Special Education at a local university. We are really excited to share its applications with future teachers! 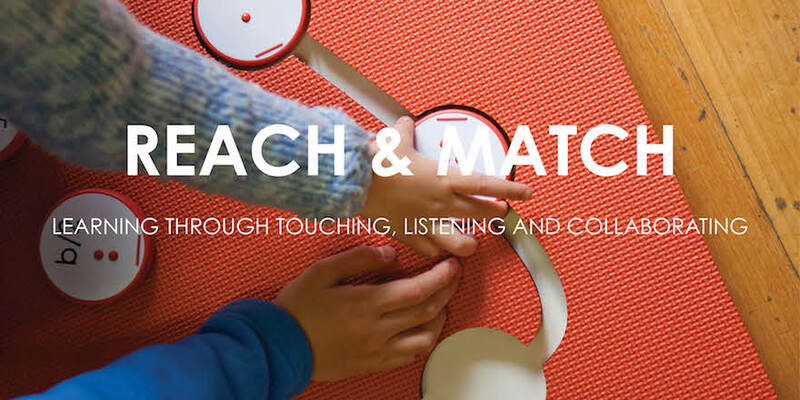 We are delighted to know that children enjoy Reach & Match games and its tactile challenges. The children are stimulated by touching the tactile textures with their bare feet and other body parts. They learn to distinguish the difference between sounds. Children also share and communicate with their peers. The creativity and flexibility of the design is double-sided and you can create different 2D and 3D configurations to elicit a ‘wow’ effect when children play together. And I am always surprised by how blind children interpret and understand the ideas of Reach & Match by touching and hearing. You can check out our Facebook page to learn more about how children interact with the program! https://youtu.be/LL6su-rATVwWhat would you say is your biggest lesson learned through the process of developing Reach&Match? To be honest, I am pretty overwhelmed by the whole journey. As a designer, I desired to turn this great idea into a product. However, once I finished the design I realized that it was only the start of the journey; I had to learn everything in order to make the idea happen. The biggest lesson I learned was to continuously push myself out of my comfort zone. I couldn’t work inside my room as a designer anymore, I needed to go out and talk to people—clients and potential partners. I had to learn other skills to make this idea happen, such as fund-raising, production, marketing and sales. Being the sole founder is not only difficult and lonely, but discipline is also extremely important. This was the quickest way to learn new skills as I had plenty of opportunities to address changes and solve problems each day. What has been your greatest experience when working with children? I learned the importance of testing and understanding the real needs of my clients. I start and end the design with the users—children. I observed their problems and created and tested the prototypes for them. Then, I modified and improved the design according to their feedback. So from beginning to end, I focused on how my users responded to the product. I love working with children. They are genuine and honest with what they think about your design, how they like it or how much they want to play. It’s truly a great experience to work with children with different needs—through this process I’ve worked with children who are blind and vision impaired, hearing impaired, autistic, or facing physical and developmental delays. Every child is unique and every child learns in their own way. It’s inspiring to see their different reactions. What is a problem that designers should be considering when designing for childhood development right now? I support and love the idea of inclusive play, especially for children at a young age. It would be great to have a friendly platform for them to understand the differences among their peers and learn to respect and share. Which stage are you at with Reach & Match right now? Reach & Match is very new to the market and I definitely need to work hard on the marketing! Also, I have been putting a lot of time and effort into editing the activity manual to help users understand usage and applications. Hopefully, users will receive the latest version very soon! I will focus on the products in local and overseas markets. I look forward to expanding it to the mainstream market, as the design itself is for all children. I believe there’s still a long way to go and I am excited to see more children benefit from Reach & Match. I also look forward to working on my new design ideas!